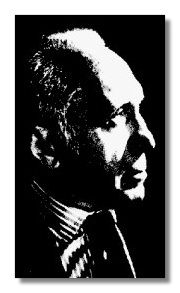 The conductor Jascha Horenstein was born one hundred years ago. The 13th of his father Abraham's 16 children, and the firstborn son of Marie Ettinger, his father's 3rd wife, Horenstein was born into a well-to-do Jewish family in Kiev, Ukraine, on May 6th 1898. His first music lessons came from his mother, an Austrian born descendant of a famous Rabbi, who encouraged his talents and taught him the piano, but the young Horenstein also had considerable exposure to the music performed at various Jewish and Hassidic gatherings that his family attended with a certain regularity, gatherings at which powerfully sung vocal music is an integral part of the ritual. The sinister political events in Russia in 1905 alerted the Horensteins to the troubles that were to come, and the following year the family moved to Königsberg, now in Poland but at that time part of Germany, where Horenstein received his first violin lessons from Max Brode. Five years later, in November 1911, they moved from Königsberg to Vienna, probably to be nearer to other branches of the family which had also set up house there. Very little is known so far about Horenstein's early period in Vienna. He attended the Staatsgymnasium no. 2, where one of his first friends turned out to be none other than the composer Hanns Eisler, whom he first met on a football field. Around the age of fifteen, just before the start of the first world war, Horenstein was still studying the violin, though now his teacher was either Adolph Busch, and/or Busch's co-leader at the Vienna Konzertverein Orchestra Karl Berla (information supplied by Tully Potter). Horenstein was accepted into the Vienna Academy of Music in 1916, where his instructors were Josef Marx (harmony) and Franz Schreker (composition). His studies there were supplemented by philosophy courses that Horenstein took simultaneously at the University [these were courses in the classics, and not Indian philosophy as has sometimes been mentioned; Horenstein's interest in Indian philosophy occurred much later]. Interstingly, Horenstein never formally studied conducting. "It was amazing what these young Schreker students could do. We gave them contrapuntal problems to solve, examined their strict and free styles, heard one fugue after another (both vocal and instrumental), gave them themes for modulation and improvisation, examined their musicality and ear training – these students were skilled in everything. As many exams as I have witnessed since, I have never again encountered such an artistic level." At this time Horenstein was composing songs, piano- and chamber-music, all of which was subsequently destroyed, and had not yet decided to concentrate on conducting. He played in the second violin section of the Vienna Symphony Orchestra for one season, until a bad accident to his finger, while chopping a piece of meat, forced him to abandon this activity. In 1922 Horenstein made his professional debut. Perhaps because of his family's presence there, this took place not in Berlin where he had been resident for two years, but in Vienna. Featuring the Vienna Symphony Orchestra, the program included a performance of Gustav Mahler's then virtually unknown First Symphony, a characteristic choice for Horenstein as it turned out. The concert was given in the same hall Mahler used for his concerts, i.e. the Musikvereinsaal. "A couple of days before the premiere Furtwängler arrived. I was thrilled; at last he would actually hear what I could do with an orchestra. He and Nielsen were sitting in the auditorium as I rehearsed the symphony (Nielsen's no.5). To impress them, and to show that I really knew the work, I kept on stopping in order to correct mistakes. I was dying to hear Furtwängler say 'marvellous.' He said nothing for a long time, then just one sentence: 'You know, you under-estimate the value of running through the whole movement.' I was crestfallen – though later I realized that this was a major lesson for me. In fact, I soon found out that the same day he had sent a letter of recommendation to Düsseldorf, where I was to become Kapellmeister at the opera company there the following year." The ISCM festival was followed by a few dates with the Berlin Philharmonic Orchestra which resulted in some landmark recordings of symphonies by Mahler and Anton Bruckner. Horenstein's association with the Düsseldorf Opera started in 1928, with a performance of Richard Strauss' Ariadne auf Naxos The following year he took over the musical management of the Opera, assuming the title of Generalmusikdirektor. This period ushered in a new beginning and fame to the theatre, which became known far beyond its region as Horenstein and his colleagues tried, with rather lesser means and under different circumstances, to do the same for Düsseldorf as Klemperer at the Kroll Opera had been doing for Berlin. In both cases – Berlin and Düsseldorf - political circumstances made it impossible to fulfil their aims and intentions. "Jascha Horenstein conducts….but does he make music? Who other than the composer would know it? This music is such that it wouldn't matter if a handful of notes were missing". This was the least offensive of similar remarks; however, it is an astonishing tribute to the vibrancy of German artistic and intellectual life at that time, that a provincial theater could mount 11 performances of Wozzeck, a number that would make any theater justly proud. One of the main attributes of Jascha Horenstein's period in Düsseldorf was the attention paid to modern opera. A month after the spectacular 'Wozzeck' performances came the premiere of Krenek's burlesque operetta 'Schwergewicht'. which was followed by the world premiere of Manfred Gurlitt's opera 'Die Soldaten'. As a finale to the artistic and financially rewarding season of 1930/1 the theatre administration put on a week of 'Modern Opera' which included Leo Janáček's 'House of the Dead', Brecht/Weill's 'Lindberg's Flight' and Igor Stravinsky's 'Soldier's Tale', all conducted by Horenstein. A word about Jascha Horenstein's talented colleagues in Düsseldorf: Friedrich Schramm and Bruno Iltz were the directors. The decor was the responsibility of the young Hein Heckroth, Helmut Jurgens and Robert Pudlich. The very carefully organized singers ensemble consisted, among others, of Erna Schluter, Bertold Putz, Alfred Poell, Ludwig Suthaus, Deszo Ernster. Also during the Düsseldorf period Jascha Horenstein conducted Pfitzner's 'Das Herz' (1932), and the premiere of Kurt Weill's 'Die Burgschaft', in the composer's presence. February 1933 saw the premiere of 'Der verlorene Sohn' after Andre Gide with music by Herman Reutter, as well as the premiere of 'The Rossknecht' after Richard Billinger's play with music by Winfried Zillig. All of this in addition to the standard repertoire of a mid-sized German opera house. "… our Jewish organized and Jewish run German theatre puts onto the stage Jewish artists and conductors in preference to our German artists. We would like to draw your attention to this fact and want to put it to you to think about it carefully…." "Unfortunately Jascha Horenstein conducted…. We have to say, 'unfortunately' because it is outrageous that a German theatre in Düsseldorf could not find a German conductor for a celebration of Wagner and that one had to ask Horenstein. It is a sign of a complete lack of regard for what is required. If a German hero is being celebrated then it is a German matter and has to be seen as such; this cannot happen if Jascha Horenstein conducts. That should not upset Jascha Horenstein, it is only a statement of fact which he cannot deny…. Art is an expression of temperament and of spirituality and these things are determined by blood and race. When Germans celebrate a German artist we want a German to convey it to us and not a semitic stranger. .. a stranger who has no artistic and racial integrity … Wagner was one a few who saw well in advance the harm and danger Jews were capable of inflicting on the German ways of life. … it is disgraceful to have a celebration of Wagner by Jews. Mayor Lehr and Intendant Iltz will have to change their attitude; if not; we shall see to it that one day it will be done and that in German Düsseldorf German spirit and German culture will reign supreme." This kind of thing, and worse, continued until and after the Nazis came to power. The Wagner anniversary celebration was Horenstein's last appearance in Düsseldorf, for on March 31st 1933, two weeks after the passing of the odious Nazi racial laws, which forbade any Jews from holding official positions in Germany, Horenstein, fearing imminent arrest, fled to Paris. His wife and two-week old son Peter stayed behind until later. These events put Horenstein's life and career into a tailspin from which it never really recovered. As far back as in March 1929, his first year in Düsseldorf as Music Director, Horenstein had accepted engagements outside Germany. Particularly noteworthy was the invitation to perform with the Orchestre Symphonique de Paris, which at that time had both Pierre Monteux and Willem Mengelberg in charge, for a gala concert featuring Strauss' Death and Transfiguration, Rachmaninoff performing his own 4th concerto, and Beethoven's 7th. This concert, attended by the whole musical elite of Paris, was a big success for the 32 year old Horenstein, and led to several other engagements in France; it was, therefore, and fortunately for Horenstein, not as a total stranger that he arrived in Paris after his unceremonial departure from Düsseldorf in March 1933. "In Leningrad there was a big community of Mahler and Bruckner fans whereas both composers are not as appreciated in Moscow. When I conducted Mahler's 5th symphony for the first time in Moscow Shostakovich and the Leningrad music writer Ivan Ivanowitsch Solortinsky specially travelled from Leningrad to Moscow. I conducted then the 5th and 9th Mahler and the Bruckner 9th in Leningrad. Shostakovich's adoration for Mahler can be gathered from his own works." "[Soviet orchestras] can only be compared with the very best in the USA. The marvelleous thing about the Russian music business is the complete elimination of the profit principle. That's the key to everything. When I was asked in 1933 by the manager of the Leningrad Philharmonic to compile a program I answered jokingly: The best thing would be to bring out five or six living composers: "Hindemith, Krenek, Roussel and so on". Every other manager would have kicked me out. Who would pay for it? But this one answered cooly: "allright"! And the program was carried through." "I recall the summer season in Baku at the Caspian Sea. The Leningrad and Moscow orchestras came to Baku with all their material, their instuments, their huge library which meant a train jorney of five or six days. The costs didn't matter. In the Azerbaijian Republic I have conducted concerts with works by Albert Roussel, Wladimir Vogel, Mahler and Schoenberg, in front of the native population who partly came in their national costume but showed deepest understanding for those difficult works." The rest of the 1930's, until the outbreak of WW2, included tours of Australia and New Zealand with the Ballets Russes de Monte Carlo, and a one month tour of Palestine in 1938, where Horenstein conducted the young Palestine (later Israel) Philharmonic Orchestra to tremendous acclaim. Horenstein's last concert in Europe before the outbreak of hostilities took place in Nantes, France, where he gave a performance of Heitor Berlioz's Grand Messe des Morts, using 325 performers. In 1939 it was obvious to Horenstein that Europe was no longer safe, and on January 18th he and his family boarded an ocean liner for New York, with falsely obtained Honduran passports obtained through the services of a sympathetic diplomatic official, since they had by then become stateless (the boat, the "Champlaigne", was sunk on its way back to Europe). Shortly after his arrival in the U.S. Horenstein, through his longtime friend Hanns Eisler, landed some work conducting movie scores in Hollywood. This proved a short-lived occupation, however, and in 1941 Horenstein accepted a teaching position at the New School for Social Research ("University of the Exiles") in New York City. His colleagues at the Arts department of the school sound today like a Who's Who of 20th century music and theatre; from Klemperer, Rudolph Kolisch and Thomas Sherman, who gave a series of chamber-music concerts, to Hanns Eisler ("The Art of Listening to Music"), Max Graf ("Introduction to Bach"), Eduard Steuermann ("Teacher and Pupil in Piano Playing"), Henry Cowell ("Creative Music in America"), not to mention the opera department, two of whose instructors were George Szell and Erich Leinsdorf. Some faculty! Horenstein's own contribution to the New School's music curriculum consisted of his direction of the New School Chorus ("…a mixed chorus with emphasis on pre-Bach masters, … with a representative sample of the extensive American folksong tradition"), as well as two 15-week didactic courses ("Beethoven and his Influence" and " The operas of Mozart"). Horenstein's U.S. conducting debut took place in May 1942 with the NY City Worker's Project Association Symphony Orchestra, part of a government funded initiative to give work to the hundreds of unemployed musicians then living in New York City. This concert did not change Horenstein's fortunes much, although it did help to land an engagement with the New York Philharmonic Symphony for four outdoor concerts at Lewisohn Stadium the following year. As fate would have it, the inclement weather kept many people away, and the results were mixed, the humid atmosphere playing havoc with the orchetra's wind and string intonation. In addition, Horenstein's presence was overshadowed by that of his soloists, the popular young Nathan Milstein, and especially Josef Hoffman, who used the occasion to pay an emotional homage to his recently deceased friend and master Sergei Rachmaninoff. Only a few of the headlines in the newspaper reviews of these concerts mention Horenstein's name. The event was quickly forgotten. Salvation came from South America, now home to so many European refugees, and where, through the efforts of Erich Kleiber and others ("Kleiber is extremely helpful and he behaves like a REAL COLLEAGUE," wrote Jascha Horenstein to Karol Rathaus), Horenstein was invited for a series of concerts in Mexico City in January 1944. The enormous success of these concerts brought him work in several South American countries, notably Argentina, Brazil, Uruguay, where he worked almost exclusively for the next 3 1/2 years. The next important year for Horenstein was 1952. His reputation in France had been solidified by some very successful concerts which assured him a series of engagements there that promised to help keep body and soul together for a sustained period, a situation he had been unfamiliar with of late. This was augmented by a similar arrangement in Italy. Horenstein's sole concerts with the Concertgebouw Orchestra in Amsterdam also took place in 1952, but these did not produce any return engagements. Two weeks after the Amsterdam concerts, Horenstein embarked on the first of his now famous series of Vox recordings which did so much to internationalize his career. The first sessions, with the Vienna Symphony Orchestra, took place in April 1952 and included Antonín Dvořák's 9th symphony, Dmitri Shostakovitch's 5th, and Mahler's 9th. While the latter has been available on disc more or less continuously since its first appearance, the first two have not been published in any form for decades, although it was that Vox recording of the Dvořák 9th that first attracted Ernest Fleischmann's attention to Horenstein's art (Fleischmann was to play a major role in Horenstein's subsequent career). Further recordings for Vox were made throughout the 1950's but by the end of the decade Horenstein's relations with the company broke up over royalty payments, and in later years Horenstein categorically refused to have anything to do with Vox or its founder, George Mendelssohn. Perhaps the most important engagement for Horenstein during the mid-fifties occurred by chance. The occasion was the 70th anniversary of the city of Johannesburg, and the LSO was invited to take part in a six week festival of the arts, the musical side of which was very ably organised by none other than Ernest Fleischmann, who later became manager of the LSO, and which also included appearances by La Scala opera of Milan, not to mention various other famous dance and theatre ensembles. The LSO was to be conducted on this tour of five concerts by Joseph Krips, who fell ill at the last moment and was replaced by Jascha Horenstein. Horenstein was shown the program (Mozart 40 & 41, Haydn 92, Schubert 8, Beethoven 3, Schumann 4, Brahms 1, R. Strauss plus Mahler 2 and Walton 1) and asked which items he wished to alter. "I know them all, except the Walton. I will learn that on the plane"; which he did. The concerts were a huge success, launched the LSO onto the world scene, and cemented a close relationship between the orchestra and Horenstein that was to last for 17 years until H's death. Horenstein's next important engagement was a 10 week series of concerts in Venezuela, where the local radio and the Orquesta Sinfonica Venezuela had organised a Festival of Latin American Music, which also included works by Samuel Barber, Charles Ives, Aaron Copland and Roy Harris in addition to all the important South American composers. All the concerts were conducted by Horenstein, and most recorded, but none of this has ever been made commercially available. "It was an exciting comeback. Horenstein, … here active as a conductor in 1922, today belongs to the first rank of travelling conductors. He has not conducted in Berlin for a quarter of a century. There stands a gray-haired man with the face of a prophet, takes possession of the unknown orchestra, shapes the sound with angular, tense movements, forces his will on the musicians. Each and every tiny cue is prepared then given, the difficult transitions, ritardandi and accelerandi mastered with apparent ease. A hearty bravo for the orchestra that proved itself to be a match for this great conductor." "After the interval came Brahms's first symphony. This was the moment when your critic felt a wave of nostalgia overcoming him. As a teenager he heard and admired this very conductor: here he is now conducting the most German of all German music after twenty five years. He beat time with his right hand, hardly using his left. The slow eerie beginning developing into a powerful expression of its form, strict, tight, restrained yet reaching ecstatic crescendos. Tears are flowing: Why? Such a man we let go or … murdered, and such a man returns to us in all modesty and thankful for the great ovation he gets. He came to a country that is hardly aware of what it had lost. If Jascha Horenstein wanted to he could be one of our most honoured conductors." The success of these concert brought Horenstein several more engagements in Germany, notably in Berlin at the State Opera conducting Fidelio and Magic Flute, and a series with the Philharmonic Orchestra. On Fidelio, one critic wrote perceptively: "It was a high-powered exhibition which one greatly misses in the younger generation of our conductors. Jascha Horenstein has an aura reminiscent of the young Klemperer. He is not a conductor one can be comfortable with, but the sound quality under his direction is on a much higher level." "…it is clear, that UNDER NO CIRCUMSTANCES can I live in Germany except in a luxury hotel and working as a 'guest' for a week, a month or longer, but only as a guest and not otherwise. Even then my life would be 'monastic' confined to a retreat. The orchestra would be almost a laboratory in which one did one's work and then back to the safety of the hotel." In some ways this reasoning must have served to free Horenstein's mind from the nagging feeling that Germany and German culture still had something of value to offer him. Unfortunately, this was not to be, and after the 1958/9 season it was rare to find Horenstein's name on German or Austrian concert listings. "ON Friday evening in the Albert Hall, … with Jascha Horenstein's inspired conducting of the Eighth Symphony, Mahler came into his kingdom. Horenstein bestrode the performance … like a colossus… the whole work moved with the inevitability and the fluent forward-drive of a planet in its orbit." "THE wonderful Albert Hall performance of Mahler's Eighth Symphony still echoes in our minds a week after the event. If the work is not flawless in every detail, neithero it is only fair to point outois the universe. But what a vast conception is revealed in the second part of the work: what an exercise of the imaginative faculty: what visionary terraces, heights and depths, immensities and voids!" The success of this concert not only gave Mahler's music a much needed boost in Britain, but also propelled Horenstein onto the international stage. Young Britons took him to their hearts. His engagements for the years immediately following the Mahler 8th performance became much more numerous, and in London he was positioned as the LSO's alternative to Klemperer, who was then in full stride at the Philharmonia. Out of ten concerts organised for Mahler's centenary celebrations in 1960, each of the other conductors took one concert, while Horenstein directed three. Despite these successes, Horenstein was not considered seriously by any of the major recording companies during this time. His contract with Vox had expired, and he was a free agent. The only offer of recordings came from Reader's Digest who, under the guidance of the hugely talented Charles Gerhardt, assembled a series of recordings of standard classics conducted by the likes of Horenstein, Barbirolli, Reiner, Leibowitz, Gerhardt himself, and others, that even today, more than thirty years later, are proud examples of the art and science of recording at its finest. Money was no object; the best orchestras, locations, sound engineers and equipment were hired, and no expense was spared to make sure that the result was a quality product. Horenstein's contribution to this series includes some of his finest recordings, in capacious stereophonic sound. An interesting side issue was Gerhardt's unsuccessful attempt to persuade RCA, the other partner in the Reader's Digest project, to finance an entire Mahler or Bruckner cycle with Horenstein. Generosity was extended, it seems, only to the well-known repertoire. The Reader's Digest project could hardly be called a contract worthy of Horenstein, yet until the appearance of John Goldsmith and Unicorn Records in 1969, this was, unbelievably now, the only serious recording work that Horenstein was offered for most of the sixties. The recordings for Reader's Digest were originally packaged in huge boxes with gooey titles like "The World's Favorite Concertos" or "Romantic Rachmaninoff", and for a good while were available only to subscribers of the magazine (even this writer did not hear of them until much later when they were issued separately on various different labels; presently they are available on the audiophile Chesky label). "Unicorn was an offshoot of the Record Hunter (a London record store). We imported labels that you couldn't get in the UK, and we had built a good clientele. After a couple of years I started having ideas about my own label. First I started with historical issues of wartime Furtwängler performances, which sold well, especially in Japan. As you get deeper into it, you get to know what the gaps are in the catalogs, so that around 1966/7 a lot of collectors were asking me for Horenstein recordings. Vox was in a state of flux, and lots of our clients wanted Jascha Horenstein, and also Nielsen. At that time there was very little of Nielsen's music in the catalogs, apart from one Bernstein version of the 5th, and no new Horenstein recordings, so I put two and two together… I heard from Tony Hodgson that the BBC was telerecording Nielsen's 5th with Horenstein and the New Philharmonia. Here was an opportunity. I went to the orchestra, who said, "Fine, if you pay in advance and talk to Horenstein". Then I phoned Sandor Gorlinsky (Horenstein's agent) who was very unimpressed. He agreed to see me in his palatial Dover Street office. I said, "I have this label, Unicorn, and here is an opportunity for Jascha Horenstein," and he said, "Meester Goldschmidt (sic), is this a new label for EMI, for DGG, or Decca?" "No, its just me; I started this only recently with the Furtwängler material." Gorlinsky looked at me sternly and said, "Meester Goldschmidt, I don't want your money, Mr. Horenstein, he doesn't want your money either. He only records for the BIG companies." "With respect," I replied, "where ARE these big companies? ", to which he had to agree. Anyway I persisted, and Gorlinsky finally said, "well, I don't think Maestro Horenstein would be interested, but he is at the Savoy Hotel and I will call him for you, and you speak with him. He called Jascha Horenstein who, intrigued, invited me to lunch the same day at the Savoy. I started telling him my life history but Jascha Horenstein, rather like Gorlinsky, was polite but not particularly impressed. Then I told him about the Furtwängler recordings, and his attitude changed immediately when he realised that I knew Furtwängler's widow Frau Elisabeth, that she had confidence in me, and that I had made a lot of sales in Japan. That cheered Jascha Horenstein up no end. Then he said, "OK, we will make the recording under one condition; when we finish the tapes I will listen to them, and if I do not like it you will not issue them. That's easy for you to say, I thought." Horenstein's collaboration with Unicorn resulted in the only commercial recordings he made during his last years. Some major recording deals came close to being finalized, notably for RCA, which would have included a complete Mahler cycle, and for Abbey Records, who almost recorded Mahler's 9th and Verklaerte Nacht with the LSO, but in every case the backers got cold feet when it came to signing the checks, and pulled out of the deal. This was a source of enormous frustration to Horenstein and to all of us who knew his unforgettable art at first hand. I am researching a biography on Horenstein, so I would like anyone to contact me who has any memories or other information which might be of interest. Copyright © 1998 by MIsha Horenstein.